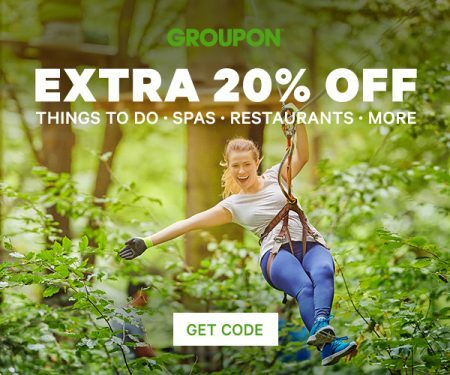 Groupon is offering an extra 20% off any local deal with this latest promo code! Save on things to do, spas, restaurant and more! Enter the promo code SUMMER20 at checkout. Offer is valid for two days only, Wednesday, September 14-Thursday, September 15, 2016. Can be used on any Canadian or US deal.